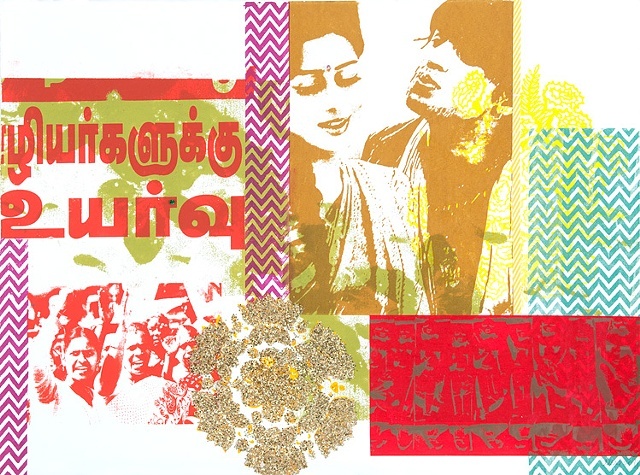 Unique relief print on Rives BFK, inspired from travel in India. This mixed media piece incorporates glitter, tape and sparkles. Images are derived from photographs taken by the artist.